Andrei is very interested in integration of green technologies in residential areas. So we weren’t surprised to see his next article about solar power in residential applications. Enjoy! 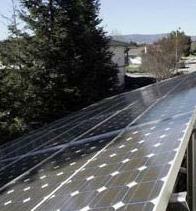 Solar Power Technology is mature enough to bring great benefits in many regions of the world. I’m sure by now we all know these benefits, smaller electricity bill, endless energy supply, green technology. 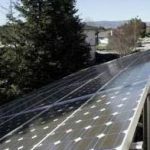 As an electrician you might have clients asking you about solar power so it’s best to known a bit about it and what is required for such an installation in order to provide a good answer. Hi, I’m Steven Mill and today I want to tell you more about Thermo-Chemical Solar Power. Depleting fossil fuels like coal, oil and natural gas is a concern shared by every scientist, environmentalist, economist and entrepreneur in the energy business. They are now looking beyond these energy sources and a number of viable options appear to interest them. One of those options is Thermo-Chemical Solar Power. Solar energy is a renewable form of energy and a number of companies have created cheap and effective solar panels for electricity generation. But these panels offer a limited amount of output energy and about 60-85% of the input energy from the sun is lost in the form of heat. What if this heat could be stored and utilized? What if we could create panels and rechargeable batteries with a much longer life and better efficiency? These questions urged the scientist in several parts of the world to work on creating something much better. In my previous article I presented the principle for avoiding production losses when photovoltaic systems are located in such cases where there is shadow of trees, dust, chimneys, antenna, other buildings … We speak of photovoltaic shading. Then I presented a good solution to avoid these which is distributed MPP Tracking: one micro inverter per photovoltaic module to track individual Maximum Power Point. I also detailed 2 design approaches with pro’s & con’s arguments. In this article, I will give some concerns and questions about photovoltaic reliability. Photovoltaic systems using micro inverter ? I will explain here the solutions and its principle for avoiding production losses when photovoltaic systems are located in cases where there is shadow of trees, dust, chimneys, antenna, other buildings or specific relief. The idea is to install one micro inverter per Photovoltaic module to track individual Maximum Power Point. I will detail 2 design approaches with their benfits & drawbacks.